After Rep. Ilhan Omar, D-Minn., apologized for her widely condemned anti-Semitic tweets Monday, many Republicans continued to criticize the newly elected congresswoman, doubting her sincerity. Omar tweeted a statement Monday apologizing and condemning anti-Semitism. “My intention is never to offend my constituents or Jewish Americans as a whole. We have to always be willing to step back and think through criticism, just as I expect people to hear me when others attack me for my identity. This is why I unequivocally apologize,” her statement read. 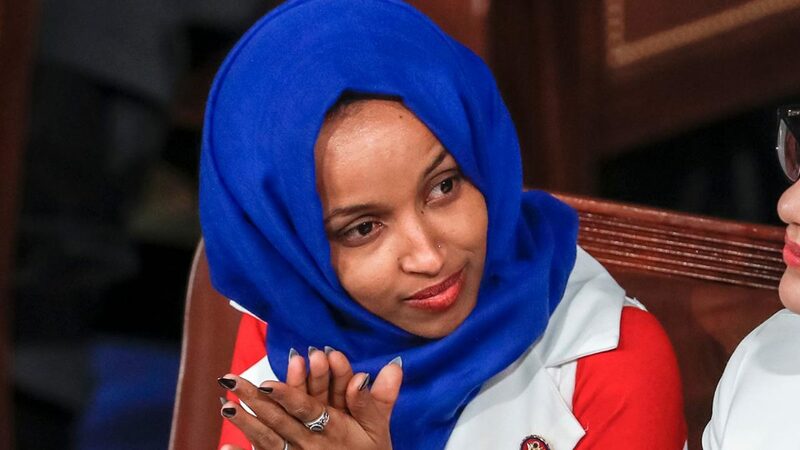 However, some critics still have a problem with Omar doubling down in the latter part of her apology on her tweet critical of the American Israel Public Affairs Committee (AIPAC). “At the same time, I reaffirm the problematic role of lobbyists in our politics, whether it be AIPAC, the (National Rifle Association) or the fossil fuel industry. It’s gone on too long and we must be willing to address it,” Omar said in the statement. President Trump, in a Cabinet meeting Tuesday, said that Omar’s apology was “lame” and that she should resign or at the very least be removed from committees including the House Foreign Affairs Committee. Omar responded to the president Wednesday on Twitter. “You have trafficked in hate your whole life—against Jews, Muslims, Indigenous, immigrants, black people and more. I learned from people impacted by my words. When will you?” Omar tweeted. House Speaker Nancy Pelosi, D-Calif., who condemned Omar’s initial tweets, defended her apology. “They shouldn’t go down this path, they do not have clean hands,” Pelosi told CNN. Many Democrats have said the president was being hypocritical and cited the recent controversial comments by Rep. Steve King, R-Iowa, and the lack of condemnation from the president. House Republican leaders responded by removing King from his committee assignments. Collins said there should be consequences for Omar’s tweets.